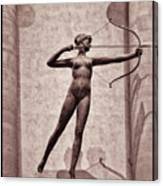 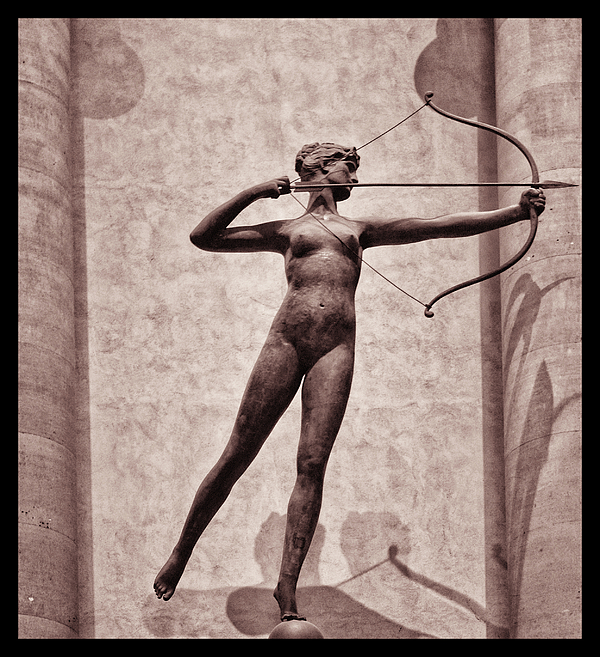 The celebrated sculptor Augustus Saint-Gaudens created Diana as a weathervane for the second Madison Square Garden building in New York City, designed by his equally renowned friend and frequent collaborator, the architect Stanford White. Saint-Gaudens�s graceful rendering of the Roman goddess of the hunt makes reference to classical sculpture, but her athletic fitness and elongated proportions are strikingly modern. 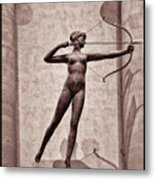 On her 300-foot-high tower, Diana became the highest point in the city and was the area�s first statue to be lit at night by electricity. 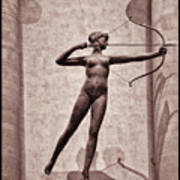 Diana remained a New York landmark until the structure was torn down in 1925 and the sculpture acquired by this Museum.